The attack strategy, generally credited to Johnston (though Van Rensselaer claimed credit), consisted of three parts. 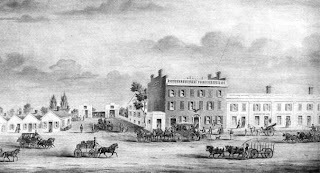 McLeod agreed to march an army through the winter snows to attack Upper Canada from the west near Detroit. Johnston and Heustis would raise an army in upstate New York and attack Canada near Gananoque in the Thousand Islands. But, both attacks were to be diversions to draw the British army and militia from Fort Henry in Kingston before a direct assault on the fort. They set February 22, George Washington's birthday, as the date to launch the assaults. Somehow word of the coordinated attacks reached Dr. Robert Nelson, the principal military leader of the Lower Canada rebellion. He too prepared an attack across the border for February.